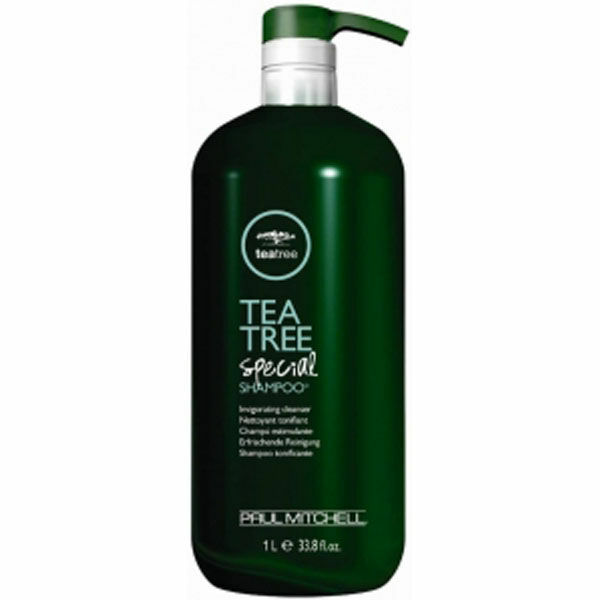 Enhance your hair's vitality and lustre with this energising and refreshing Paul Mitchell Tea Tree Special Shampoo. This invigorating shampoo features a special combination of cleansers and Australian tea tree oil to leave hair refreshingly clean. Formulated with Australian tea tree oil, Hawaiian awapuhi, chamomile, henna, rosemary, aloe vera and jojoba, Paul Mitchell Tea Tree Special Shampoo stimulates the scalp with a cool tingling sensation. This invigorating blend cleanses your hair and scalp of impurities for a fresh, clean feeling. Apply liberally to wet hair.